Talk to me about trap tags.... I went cheap last year and bought those aluminum ones you etch your trapper # into and roll 'em up somewhere on the trap... Well as it turns out they are illegible after about months of use... So what are we using for trap tags that don't need replaced every time the wind changes directions. stamped copper tags. 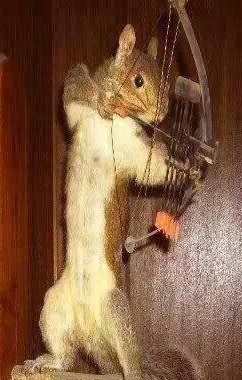 can find them on about any trapping supply site and i think at least one person on here may make some. I need to make another order myself. 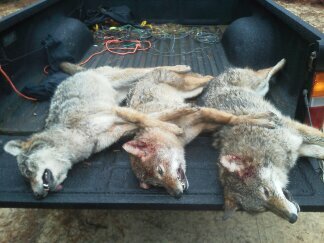 Coyotes have chewed off about 100 of mine. I learned to put them on the last swivel near the anchor. Any closer to the trap and they go missing often. What he said, I have the stamped copper tags and they are great and can be found easily on trapping supply stores and eBay. And I can vouch that trying to attach them somewhere they won’t get chewed is a great idea. I’ve lost a few but if they don’t get chewed up they will last a long time. People ask me why I trap if it's not good money I tell them it's time well wasted. Copper and if you can find the two hole tags it make your own second hole, try riveting them to bottom of the trap frame. That part of the trap faces away from the animal after caught (bottom of frame) and I haven't had one chewed off if I put them there in many, many years. I have a bunch too that I rolled around the chain and sometimes those get pretty chewed up. Good people and excellent service. Anyone know if Larry is still in business? His website is no longer active. I've been satisfied with the copper tags from F&T. They have chamfered corners. Maybe he forgot to renew his site? Hope that's all it is. I'll try calling him during regular hours. I stamp the lever of my traps. 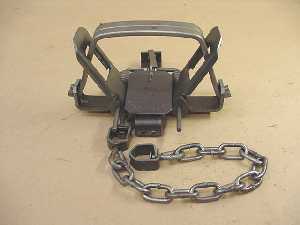 And use copper tags on my snairs,I get them from Minnesota trap line products. I usually get mine from FnT. Add a hundred to whatever else I'm ordering. Theirs are the heavier duty type. Thicker than some and with rounded corners. I got the same result last week when I tried to order.